Canterbury Connected Business Improvement District, together with MyCanterbury and Visit Canterbury, is producing a Guide to Christmas in Canterbury – the official guide for all that happens in Canterbury over the festive season, including a new map with all shops and restaurants listed so that shoppers can easily find you. Are you a great venue for Christmas and New Year’s parties? Do you want to promote your special menu for the festive season? Are you a treasure trove for Christmas presents and stocking fillers? Would you like to promote your concert, show or gig? 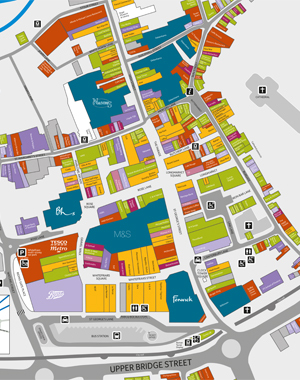 Let everyone know where to shop, eat, drink and go out in Canterbury in November, December and January. Don’t miss out! It’s easy: Contact Kathy on 07949 348496 or email to book your space by 16 September. Single page: 148(w) x 210(h)mm. Please supply with 3mm bleed on each edge, no trim marks. Full colour high resolution PDF or Jpeg in CMYK format. 300 dpi.